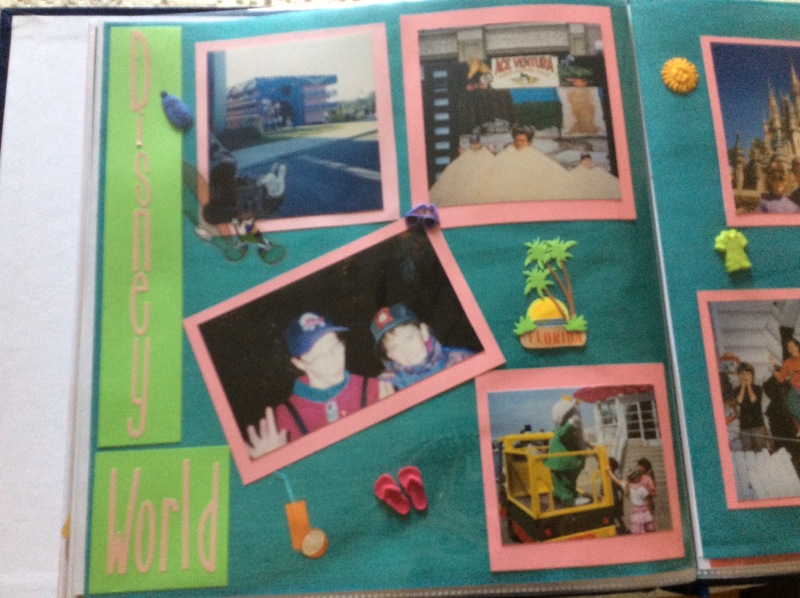 A few years ago I started making scrapbooks for my girls. 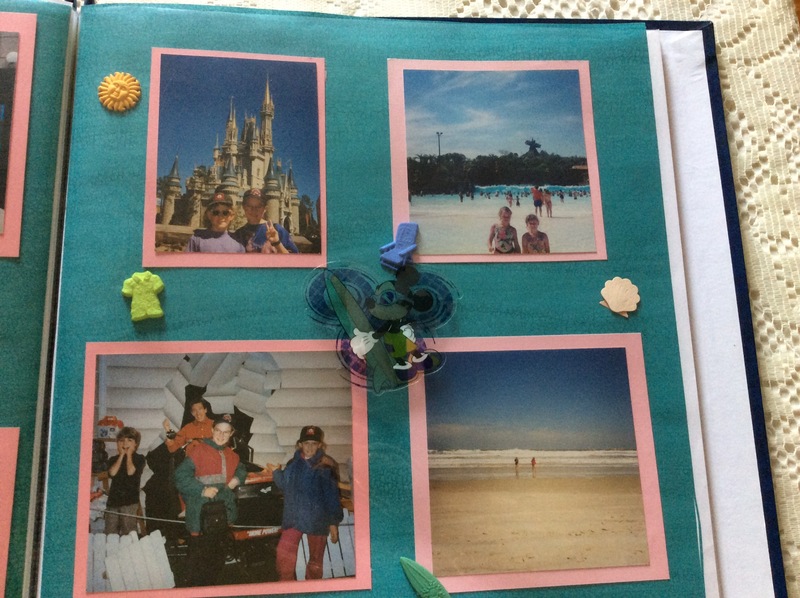 I had been very good at making photo albums for each of them until aged 4 but then all our pictures just ended up in a desk drawer. 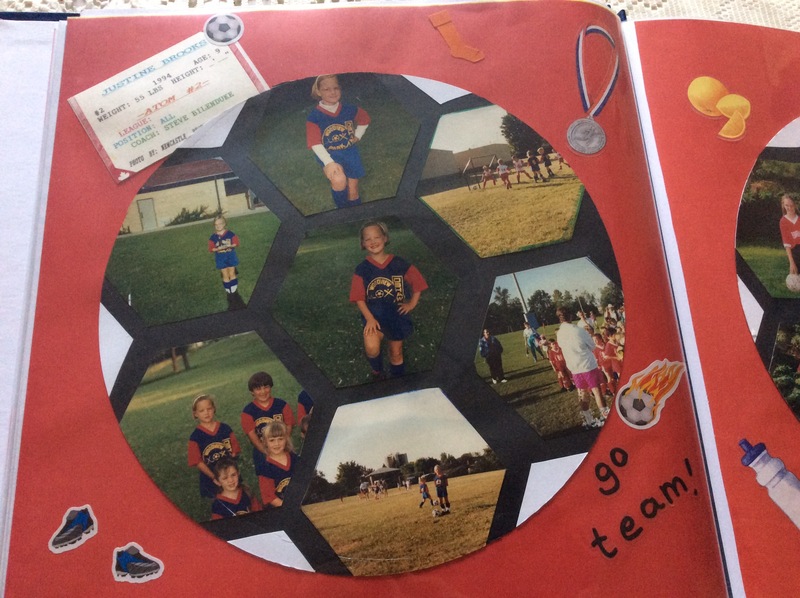 I didn’t get too far after I made (what I thought was) a pretty cool soccer page. 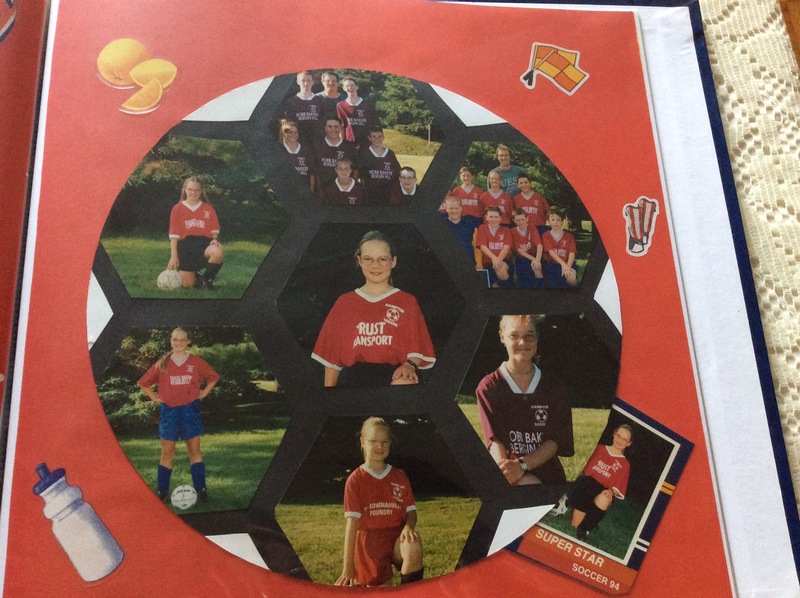 Justine and her sister didn’t appreciate me cutting up their pictures to make it and asked me to stop scrapbooking. I think I might finish Justine’s one day. So nice! What a beautiful tribute. 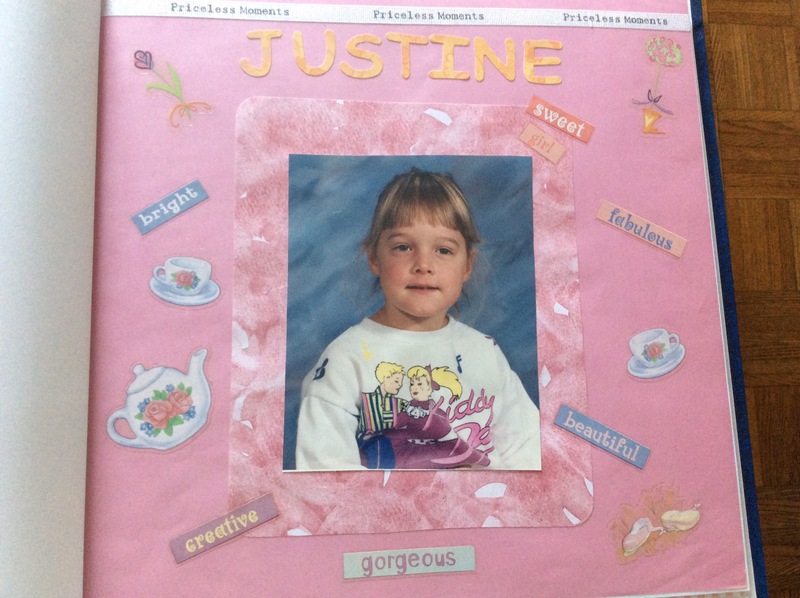 Justine’s scrapbook is full of great pictures. 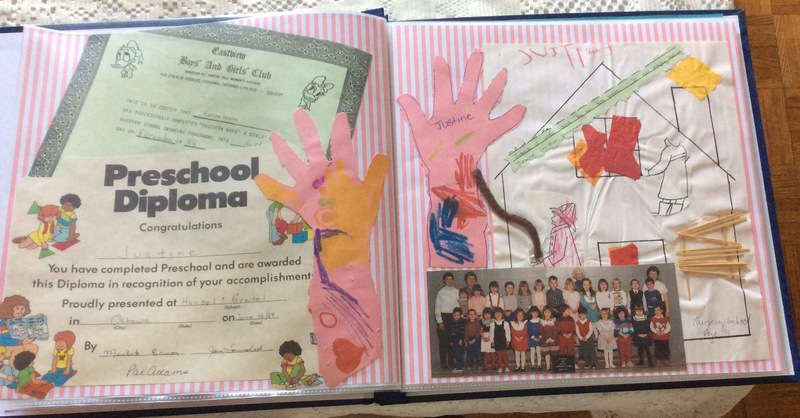 I hope you finish it “for posterity”. Wonderful way to remember her. 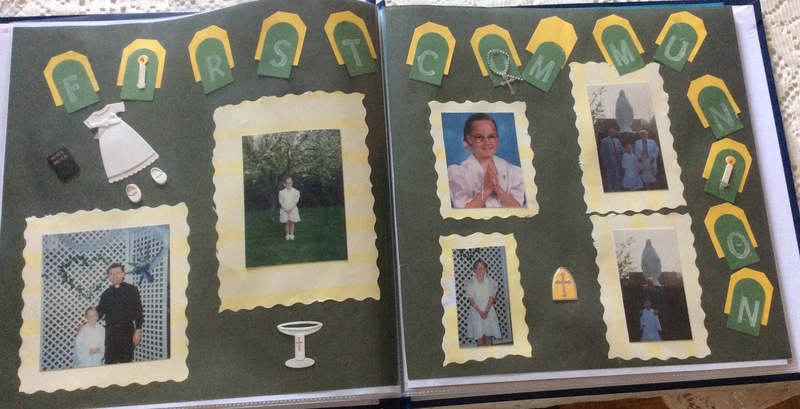 I do plan to do a page for each school grade since I’ve kept some schoolwork and class pictures. Thanks.